It comes as no surprise that artificial intelligence (A.I. ), robotics and cognitive computing are transforming the way companies are doing business. Customers today are connected to messaging apps and social media more than ever. In fact, consumers are to possess over twice as many smart devices in 2020 as they do today. Experts believe that by 2030, almost a third of the global workforce with be automated. 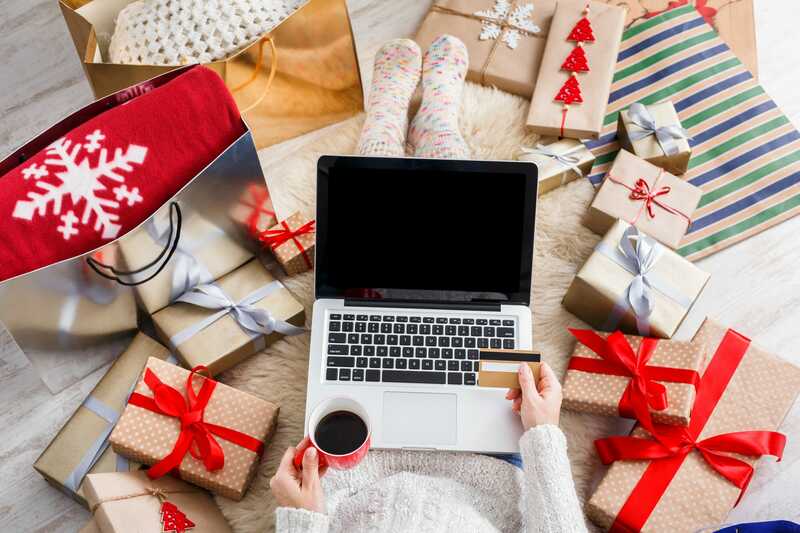 As machines are taking over cognitive capability, online shopping has become easier, convenient and less expensive. 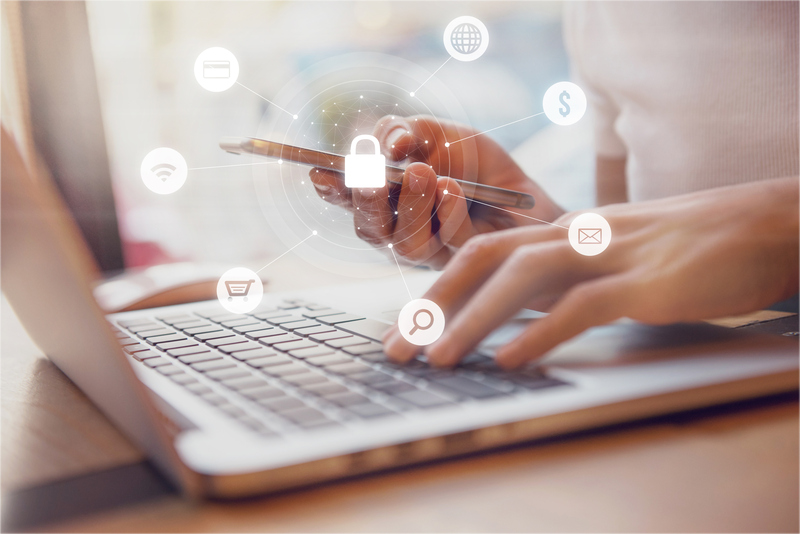 With the digital movement on the constant rise, brands will need to implement cognitive computing into their customer support technology to provide better, faster customer service. Cognitive computing is technology that can analyze large amounts of data in the same way humans think, remember and reason. Therefore, people can naturally interact with technology and extract data. Cognitive Computing is already revolutionizing the retail industry worldwide and will continue to grow. As technology has become increasingly integrated in retail space, consumer expectations have been ever-growing. Companies who want to succeed must leverage the power of digital technology and cognitive insight. This enables them to deliver a more personalized user experience both online and in-stores. Imagine combining shopper history, buying trends, and location information with the weather. Retailers can integrate all this data and send out notifications of a sale on rain boots or umbrellas just as customers are approaching their retail store on a day it’s expected to rain. With the use of smartphones and mobile payments, companies can access insight from each transaction. All this data enables them to send out personalized information and create experiences based off what the customer really wants. Cognitive computing or artificial intelligence is becoming the tool to enhance and transform the consumer shopping experience. Back in 2016, Hilton Hotels was one of the first to introduce their first ever concierge robot, Connie. She was designed to help guests find the best restaurants and attractions in the area. Connie has the capability to point and direct guests towards a certain spot in the hotel when asked specific questions. This friendly robotic assistant enables Hilton Hotel’s front desk employees to focus on more important tasks. Today, you’ll see more and more hotels, retailers, restaurants and malls adopting A.I. and robotic technology. 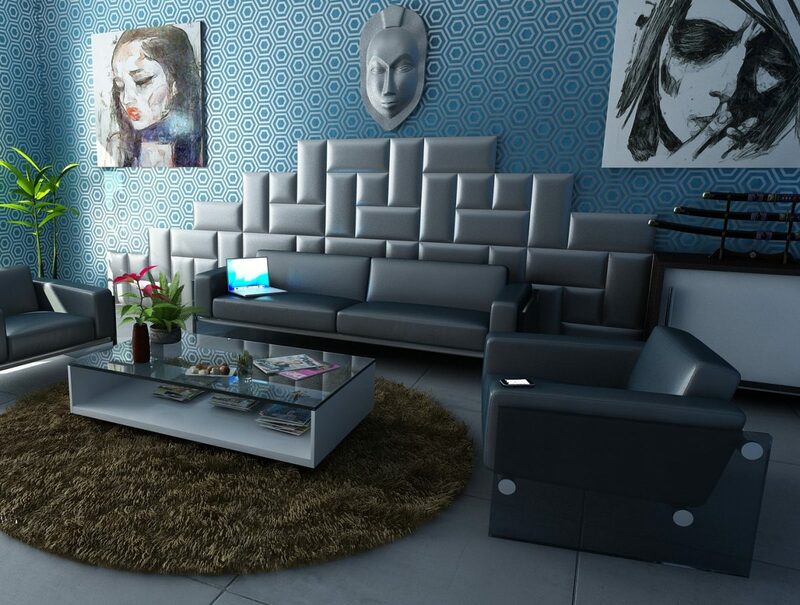 This trend has led to the design of a robot butler, concierge and bellman. 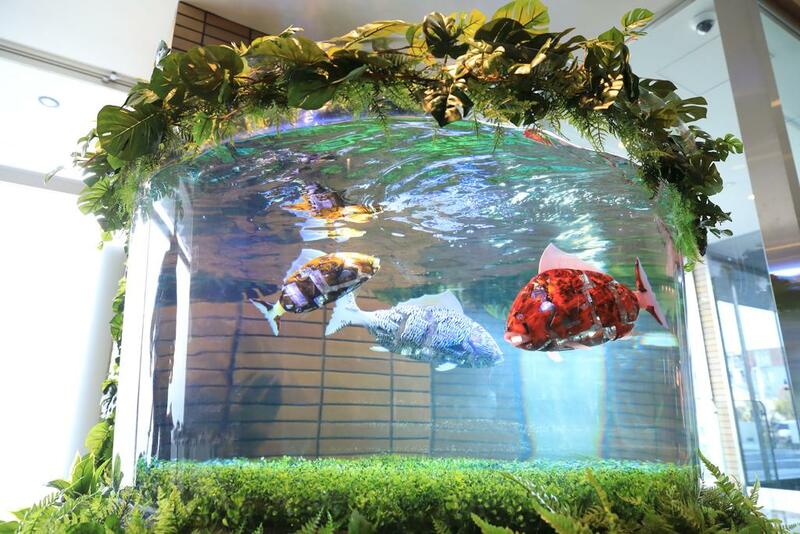 Henn na Hotel in Sasebo, near Nagasaki, Japan is probably one of the most advanced and forward-thinking hotels. 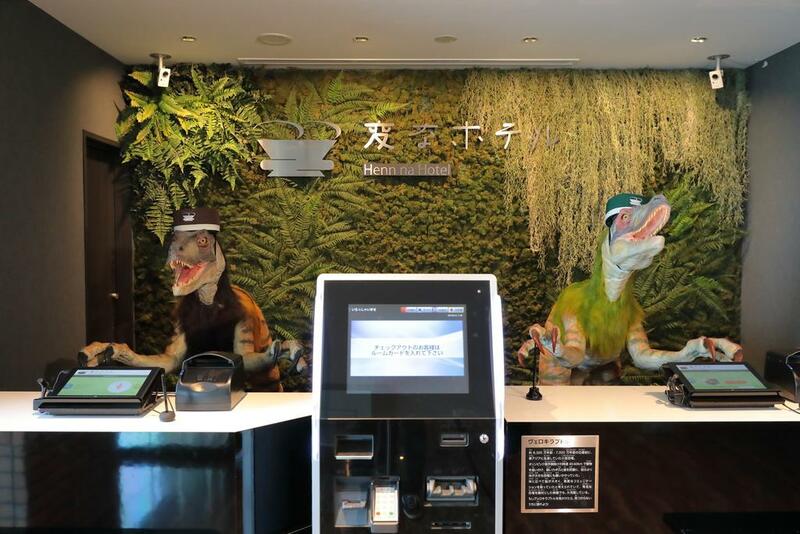 When entering, a velociraptor greets you and requests for your check-in information through its touchscreen monitor. Another robot named Churi San can sing, control heating and lighting, and provide you with information on the weather. 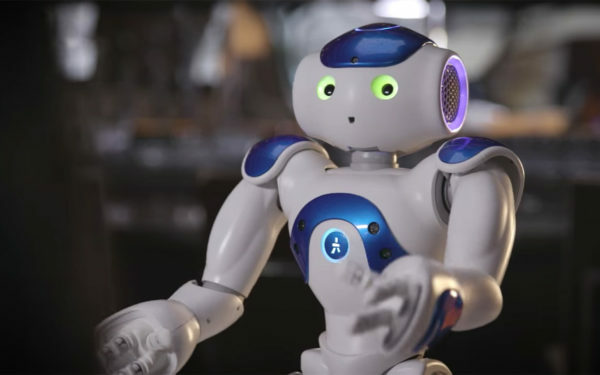 Henn na Hotels is an almost all-robot operated hotel chain that leads you to a fantastical world. 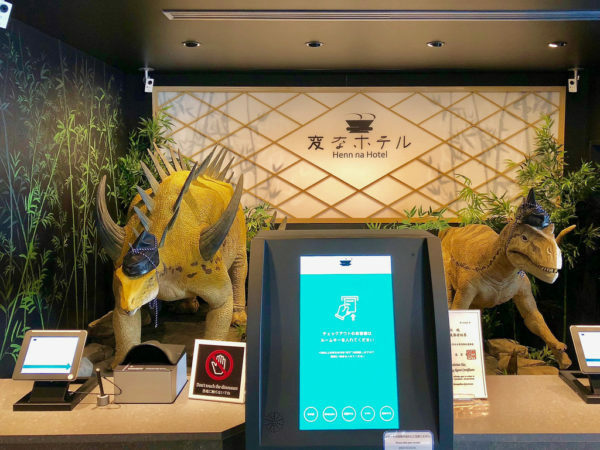 You’ll find everything from dinosaur robots checking you in, a robot porter delivering your bags to your room, fish robots in a bowl, robot vacuums, a robotic orchestra greeting you in the hotel and more. If you forget your hotel room key, no worries. The hotel has room facial recognition technology. In 2018, four MIT mechanical engineering students developed a $25M futuristic restaurant startup. 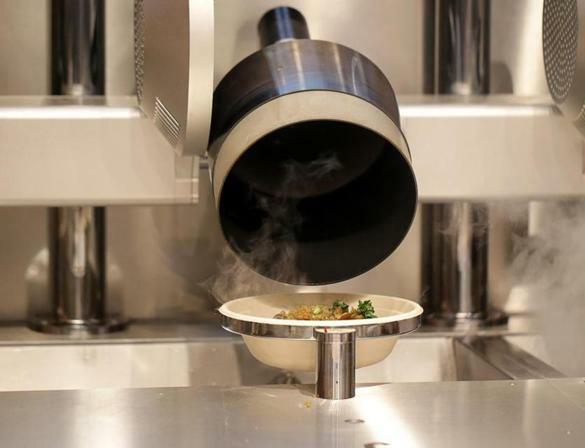 Exhausted paying $10-$14 on daily takeout near their campus, the students came up with the idea of an automated restaurant that makes affordable, quality food. Last May, these students opened their first location called Spyce in Downtown Boston. 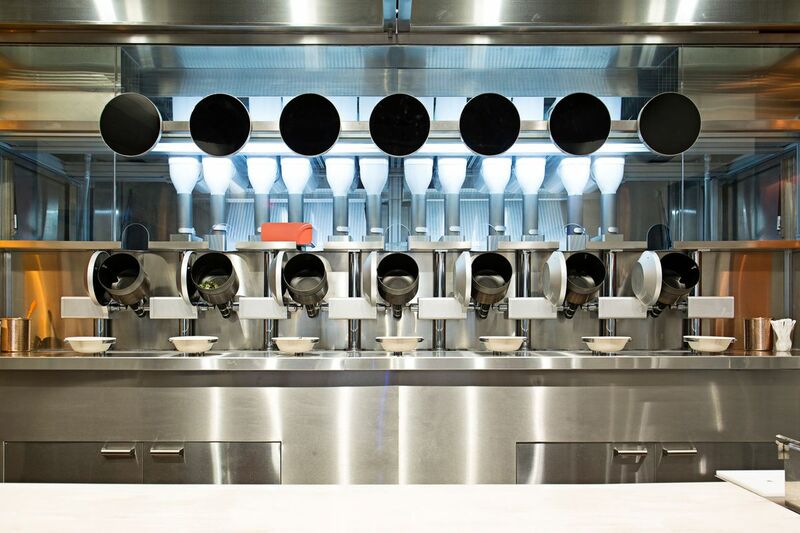 The restaurant is mainly operated by robots who custom make your meal and clean up, providing more time for human employees to add the finishing touches. Their idea received $24.8M in funding from Maveron and Collaborative Fund and Michelin-starred chef Daniel Boulud. This cool automated concept landed them on Forbes’ latest 30 Under 30 list. Spyce brings in about 500 costumers daily and will have additional locations in 2020 due to popular demand. Artificial intelligence and robotics may be a whole different approach to costumer experience, but it might be a glimpse of the future for corporations. Building a positive memory is a must for business owners and mobile robots can improve both front-of-house service and back-of-house operations. Artificial Intelligence and robots can assist with your luggage, room service, housekeeping, hosting and even show you around the vicinity. Cognitive computing will help receive the appropriate data required to make a sale. All three technologies will enable business owners to strategize more effectively on plans that’ll provide a better and more memorable costumer experience.